Selected candidates will join InRhythm in July 2018. InRhythm is looking forward to recruit, train and nurture young and fresh talent from the Campuses. They will initially undergo training in technologies such as Dot Net, SQL, Teradata & Business Objects. 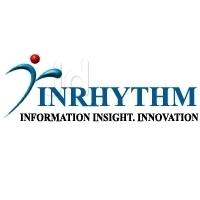 of InRhythm's Fortune 500 customers. aptitude towards learning, and strong data analytical ability. FORMAL DRESS CODE IS A MUST . PLEASE REPORT SHARP BY 2:30PM AT NEW SEMINAR HALL.